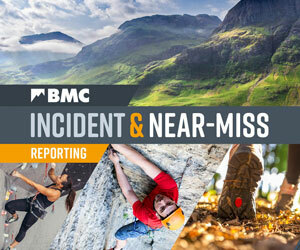 The BMC AGM takes place at 12.00 noon on Sunday 31 March 2019 at the Devonshire Dome in Buxton and it would be great to see as many members there as possible. If you can attend in person, registration will be open from 9.00 to 11.45am on the day and BMC staff will be on hand to assist. The agenda includes the presentation of the Annual Report, Annual Accounts and updated Articles of Associations, the appointment of Auditors, election of director positions and the agreement of subscriptions rates for 2020. If you are unable to attend you can still cast your vote by appointing a proxy to vote on your behalf; this can be the BMC President (who chairs the AGM) or anyone over 18 years of age who can attend the meeting, in person. As in 2018, proxy voting arrangements will be managed by the Electoral Reform Services (ERS) – the UK’s leading provider of independent electoral and voting services. ERS will notify all members of the voting arrangements by email (or letter if we do not currently hold your email address) by Saturday 2 March. In accordance with the BMC Articles of Association, any resolutions for the AGM must be submitted in writing no less than 45 clear days before the meeting and signed by no less than 25 voting members (Article 11.7). The deadline for receipt of resolutions is 23:59 hours on Wednesday 13 February 2019.